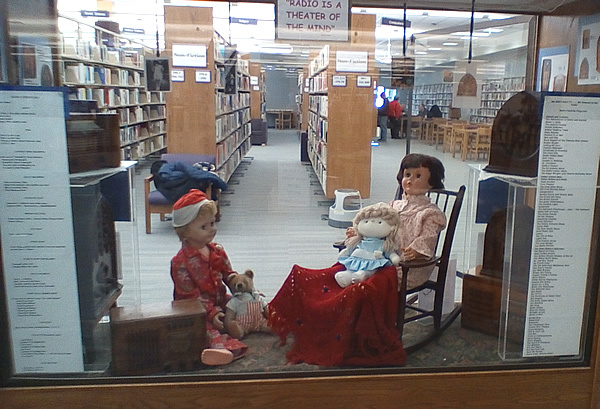 Our current Museum display picks up where last month's library case left off. 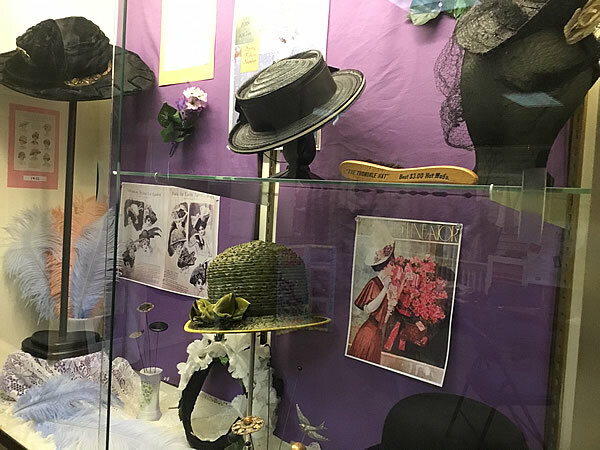 We are most grateful to town historian, Lynn Barton for the loan of her hat collection which features hats from the 1870's through today. When pioneers and early Americans gathered to celebrate a holiday, harvest, or event, dancing was often the highlight of the evening. 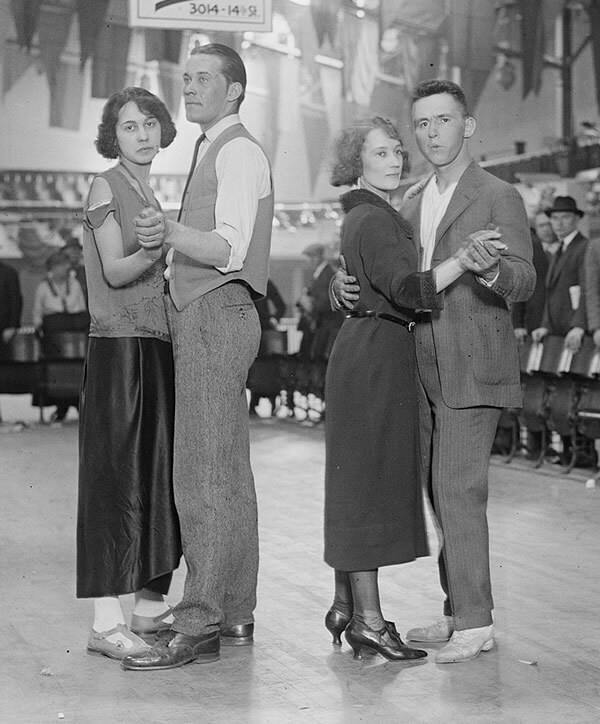 With the expansion of the nation, ballrooms spread with the patterns of immigration and were located in public buildings, private clubs, taverns, and homes. Typically a long room - maybe 35 x 18 feet – these halls often had a vaulted ceiling, benches around the perimeter walls, and sometimes a stand for the musicians. The best dance floors included a hidden but all-important sprung floor to heighten the enjoyment of the participants. 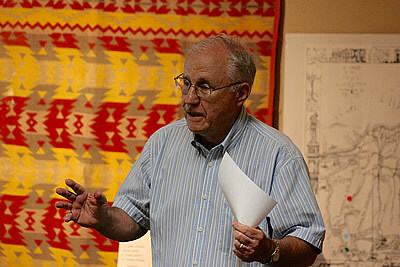 After thirty years of collecting examples, anecdotes, and the history of sprung floors, Steve Jordan will share his research focused on this often debunked phenomenon, how it was technologically achieved, and other societal aspects of the mysterious sprung floor. Steve Jordan grew up in west Tennessee, graduated from Memphis State University and Cornell's graduate program in Historic Preservation. He has worked in the building trades since he was fifteen years old and is now a preservation specialist who repairs and restores old and historic windows and also prepares window assessments and condition reports in Rochester, New York. 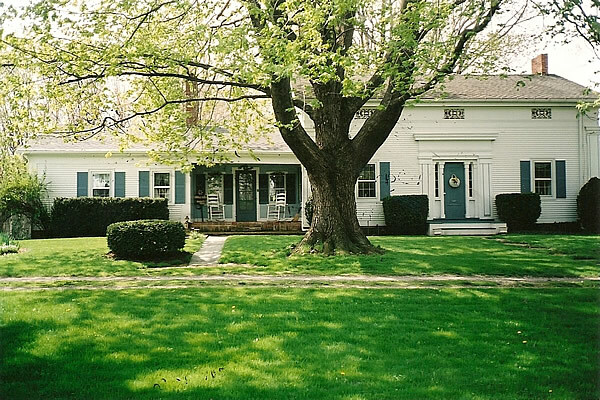 He was the rehab advisor for the Landmark Society of Western New York for six years, an architectural conservator for Bero Architecture for four years, and was a contributing editor for Old-House Journal from 1998 through 2015. 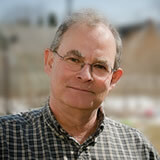 Steve is author of Rehab Rochester: A Sensible Guide for Old-House Maintenance, Repair, and Rehabilitation (Landmark Society of Western New York, 1995) and co-author of Painting Kitchens - How to Choose and Use the Right Paint . . . (Quarry Books, Gloucester, MA, 2004). His latest book is The Window Sash Bible (Create Space). 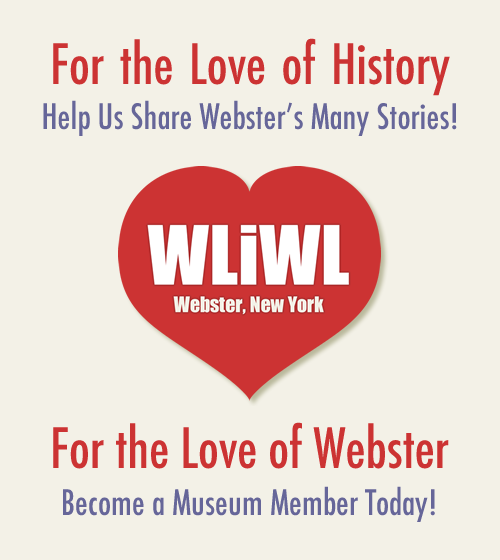 Join Sharon Pratt and town historian, Lynn Barton at the Webster Public Library for a presentation on historic properties throughout Webster. 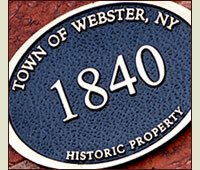 Each May as part of Historic Preservation month, the town of Webster and the Webster Museum's Historical Properties committee honors 5 Webster properties with a plaque recognizing their architectural and historical significance to Webster. To the world of hats, the Edwardian era was known as the "Plume Boom" because of the often enourmous feathers that decorated hats of the time. Lily Elsie (born Elsie Hodder; 8 April 1886 – 16 December 1962) was a popular English actress and singer of the time. The cloche hat is usually attributed to French fashion designer and milliner, Caroline Reboux who began making the form fitting hat around 1908. 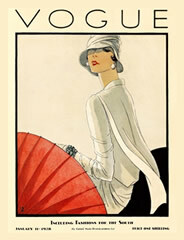 The hat was a staple of the 1920s. Cloche is the french word for bell. Louise Brooks (born Mary Louise Brooks; 14 November 1906 – 8 August 1985) was a silent movie actress, dancer and later writer who helped popularize the "bob" hairstyle. 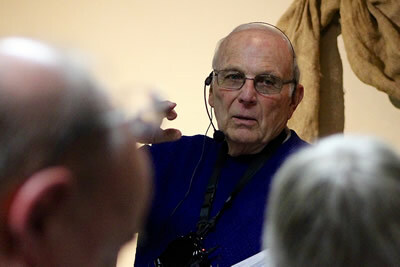 Brooks moved to Rochester, NY at the suggestion of James Card a film preservationist at the George Eastman House who helped build the museum's motion picture collection and helped Brooks became a film writer. The 1930's picked up where the 20's left off. The 30s cloche became known as the "Garbo slouch hat". 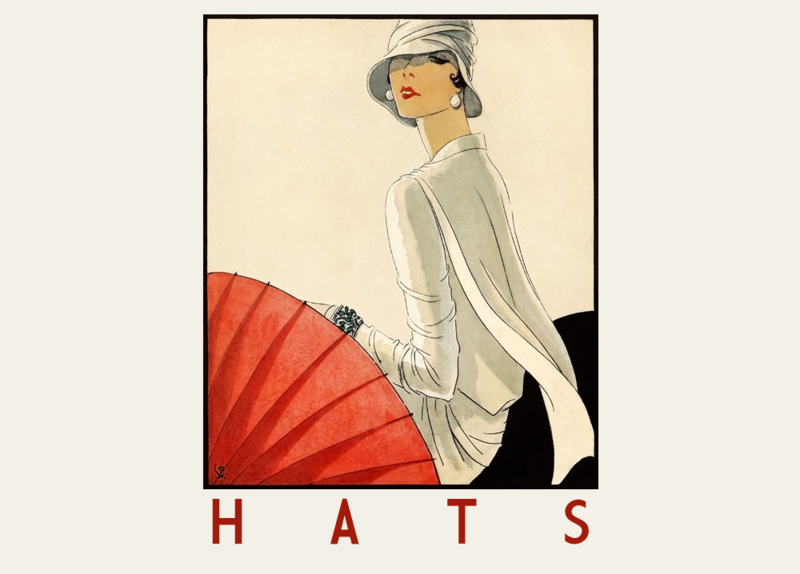 Later in the decade as curled hairstyles were becoming popular and parasols had fallen out of fashion, form fitting hats began to be replaced by hats with more height and larger sun protecting brims. Other hats of the era were smaller and more decorative, often appearing to be perched atop the wearers head. Greta Garbo (born Greta Lovisa Gustafsson; 18 September 1905 – 15 April 1990) was a Swedish-American film actress during the 1920s and 1930s. Before her career as an actress, Garbo she had worked as a milliners assistant which enhanced her eye for fashion. Something of a recluse, Garbo avoided Hollywood social functions and award ceremonies, seldom gave interviews, and never signed autographs or answered fan mail. 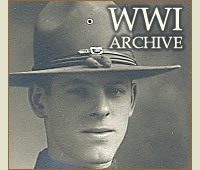 The popularity of hats began to wain following World War II. 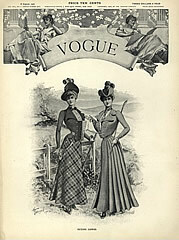 Many milliners began creating statment pieces for special occasions and less for everyday wear. The 1956 musical My Fair Lady, created something of an Edwardian revival with the return of the large hats adorned with flowers and ribbon. Lisa Fonssagrives-Penn (born Lisa Birgitta Bernstone; 17 May 1911 – 4 February 1992) is often given the moniker, the "first supermodel". Fonssagrives-Penn worked with many photographers but is best remembered for her work with husband Irving Penn for Vogue magazine. Until 1922 there was only silence. Rochester's initial attempts to break that silence didn't go entirely as planned. It's first commercial radio station (WHQ) closed after only a few short months thanks in part to the steel superstructure of the Times-Union building that housed the radio station's antenna and muffled its signal. Luckily the expertise and equipment that put WHQ on the air was passed on to George Eastman who founded WHAM with the assistance of Lawrence Hickson in July of 1922. 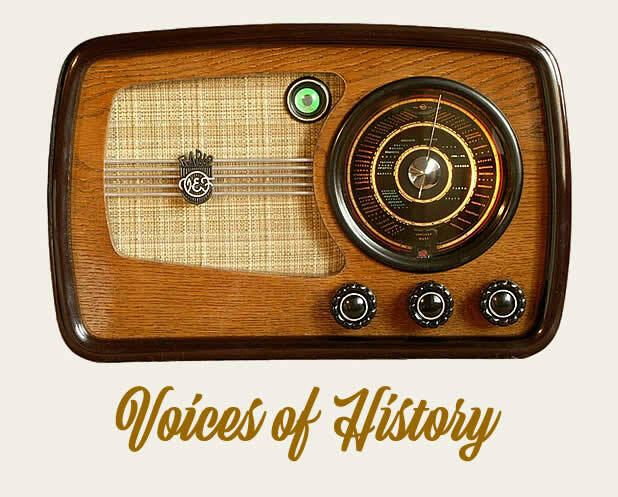 The voices of Rochester radio soon became familiar friends, relied on for news, weather and entertainment. 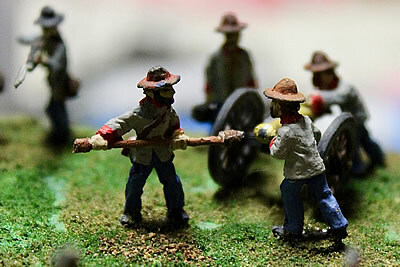 Thanks to the many talents of Tom Pellett, the museum now has a miniature diorama portraying a battle during the American Civil War. It was truly an honor to have Richard Brookins and his family at the museum. Though Mr. Brookins didn't arrive by army jeep or wear the vestments of St. Nickolas, his appearance brought a lot of joy to those in attendance (and maybe even a tear or too). The simple desire to bring joy into the lives of children during a horrific war, became something far more. A few photos from the afternoon are now online. 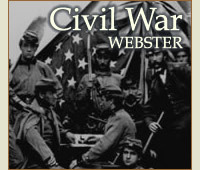 The story of Webster extends beyond its businesses, homes and roadways. 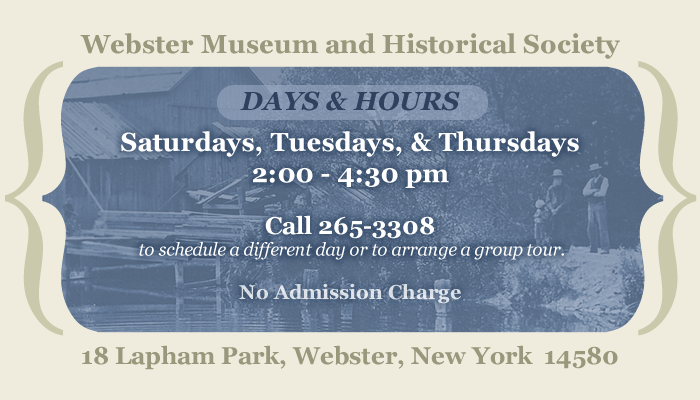 One of the things that makes Webster the place "where life is worth living" is its nature and the many parks, woods and trails that are open to explore. 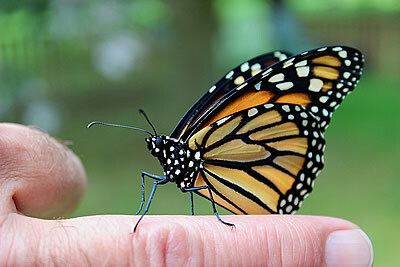 With that in mind, here is a small look into the world of another kind of Webster resident, the Monarch butterfly. 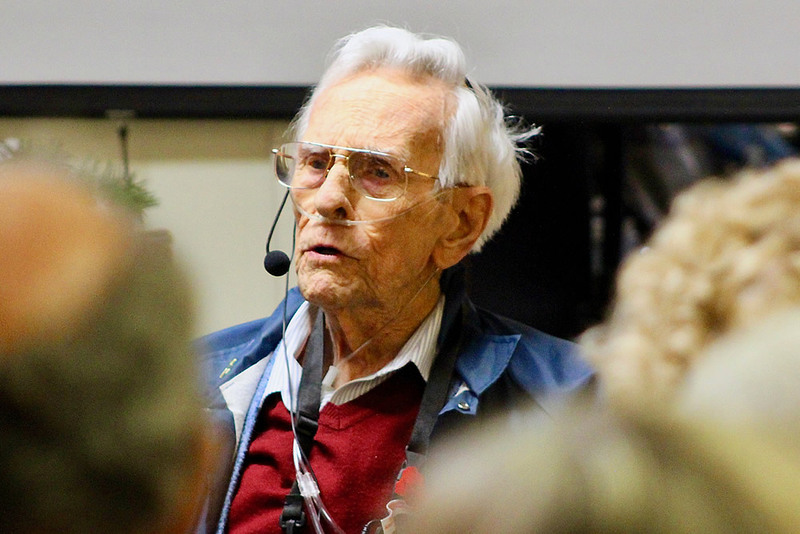 We are thankful to have had the opportunity to hear Barry Martin share his memories of growing up in Webster. Barry was in Scout troup 108. Barry started the Junior History Club at Spry and the group was responsible for putting the first State marker up in fron of Dr. Holt's home on Holt Rd. Barry a retired Judge, has written a book about Bob Davies a renowned Basketball player of the Rochester Royals. A few photos from Barry's visit are now online. Many thanks to Gary Morgan for coming out to the Webster Museum and sharing so many delightful stories from his days behind the wheel. We are happy so many of Gary's friends (old and new) could attend.